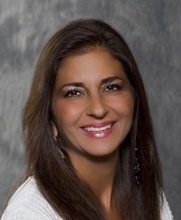 "Debbie was one of the most knowledgeable real estate agents I know and very helpful!! Will refer her to all my friends and family." "Deborah was a very kind, understanding professional agent who was patient with our personal scheduling issues. Deborah worked diligently to help us close the deal on the home we really wanted as well as quickly selling the home we moved out of. Would definitely call of Deborah's services in the future and recommend her every time I can." I work work with Debbie again!! "It was a pleasure working with Deborah again. Years ago, I worked with Deborah to find renters for a home and recently I worked with her to sell a home. She is professional, courteous, and very responsive. I would recommend Deborah to any one trying to buy/sell/rent a home in the south eastern Michigan area." "I originally met Ms. Yatooma through listings on the internet. I called her, we got together, and she helped me buy and sell a couple of homes. She is very honest and a real go-getter. She will have YOUR best interest at heart, not a quick commission for herself. I would not hesitate in recommending Debbie Yatooma to any of my friends or family. She is very accommodating and as I stated earlier, very honest. I very much enjoyed working with her, and consider her a friend today. I would definitely call her in the future if the need arises. Karen Tesner"
"Debbie was an A-M-A-Z-I-N-G realtor!! She pays close attention to your needs, and she is super flexible in terms of timing. We looked at houses late at night and on the weekends and she always made time for us, and never said it was a problem. She helped to sell our condo, plus buy a new house and the entire process was completed within 2 months which was astounding and so fast. I also really appreciate her communication style. She was always quick to respond and would answer anything that we asked. Being that this was our first house, my husband and I needed someone to help guide us through, as we had a lot of questions, and she did. We are so happy with our purchase and will refer her to EVERYONE we know!" "We couldn't be more happy with the home that Debbie helped us find. The process was difficult at times, but Debbie worked diligently with us throughout to ensure we found the perfect home for our family. The next time we are in the market for another new home, there is no question that we will use Debbie again!" "We want to thank you for everything you did for us during the whole time we were looking for a house. You made it possible for us to get the house we really wanted and we are so so grateful!" We're Happy to Have Debbie Aboard! "We are proud to have Debbie Yatooma join RE/MAX Classic. Debbie has been a true professional in the Real Estate Business. Debbie is a full time Realtor and takes care of her clients.